A Light Beneath Their Feet (2015) – What's New on Netflix Canada Today! Emotionally raw and uncommonly observant, this coming-of-age drama balances the pull of family obligation against personal aspirations. Madison Davenport beautifully conveys the mixture of fierce love and grueling weariness she feels while embracing her role as caregiver, a responsibility that threatens to consume the entirety of her life. And Taryn Manning is equally impressive in avoiding any trace of caricature in her portrayal of mental illness, preserving Gloria’s dignity even as her behavior becomes more erratic. Director Valerie Weiss has found an ideal collaboration in screenwriter Moira McMahon Leeper, making her feature debut. 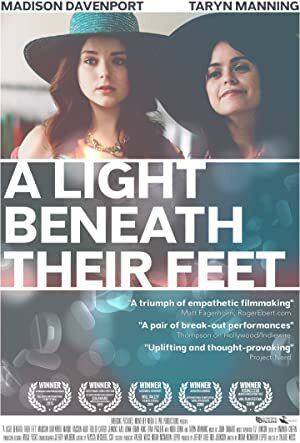 By turns endearing, unsettling, and ultimately moving, A Light Beneath Their Feet is a triumph of empathetic filmmaking. There are no heroes and villains in this story, just ordinary people struggling to create a sense of normalcy in their day-to-day existence.